Email Log is a WordPress plugin that logs every email sent from your WordPress website. 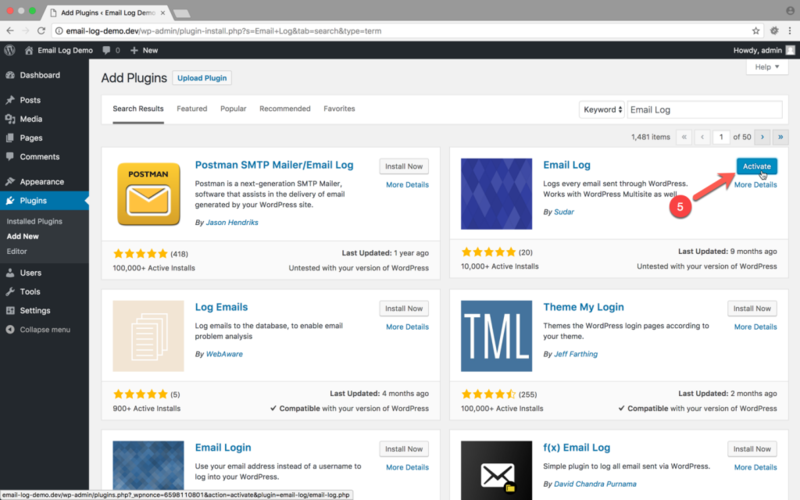 How To Install Email Log WordPress plugin? Installing Email Log WordPress plugin is easy and you can install with few clicks from the WordPress Dashboard. 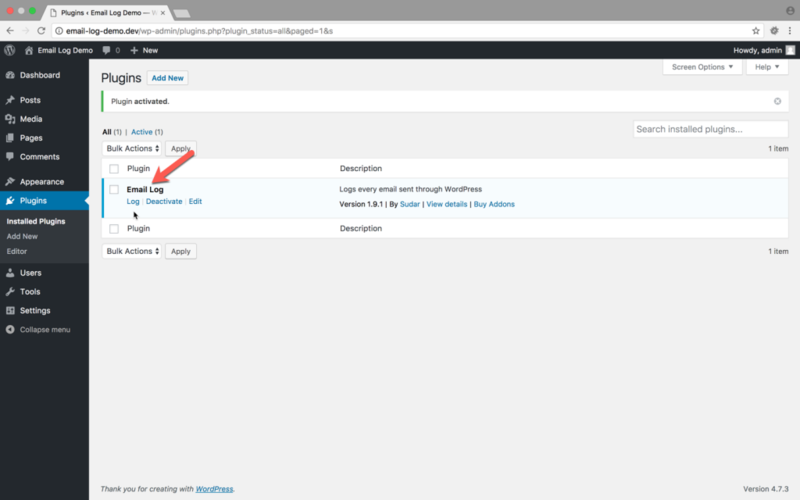 Login to your WordPress Admin dashboard and head over to Plugins page. Click 'Add New' to add a new plugin. Search for 'Email Log' and the search results are displayed as you type. Identify the 'Email Log' plugin from the results and click the 'Install Now' button. Once the plugin is installed, you will be shown the 'Activate' button. You can then activate the plugin.